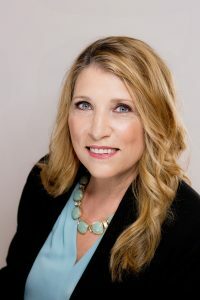 Susan focuses on family law, encompassing issues such as divorce, child custody, child support, spousal support, domestic violence, and bankruptcy. She is currently the President of the Ventura County Family Law Bar. As a single mom, Ms. Elston began her legal career in 1993 when she earned three paralegal degrees from the University of West Los Angeles, and subsequently completed her Bachelor of Science Degree in Paralegal Studies. She went on to earn her Juris Doctorate from Ventura College of Law in 2012 with a focus on Family Law and Criminal Law. She gained valuable training in mediation while providing services as an intern with the Ventura Center for Dispute Settlement and Ventura County Small Claims court. She also trained with the Ventura County Public Defender’s Office from 2011 – 2013 as chief assistant in Veterans Court, Mental Health Court, and Misdemeanor Court. Before entering the legal field, Susan worked in finance security as a credit card investigator of stolen and counterfeit credit cards. She was an acting member of the International Association of Credit Card investigators. As recognition of her dedication to public service and the advancement of women in the legal profession, Susan was awarded the 2012 Mary Sullivan Scholarship Award from Women Lawyers of Ventura County. Continuing her commitment to community, Susan is an attorney coach for the Channel Islands High School Mock Trial Team, and a volunteer attorney with the Free Clinic of Simi Valley. Ms. Elston is a member of the Ventura County Bar Association, Ventura County Family Law Bar Association, Los Angeles County Bar Association, Los Angeles County Family Law Bar Association, Women Lawyers of Ventura County, and Jerome H. Berenson Chapter of the American Inns of Court.